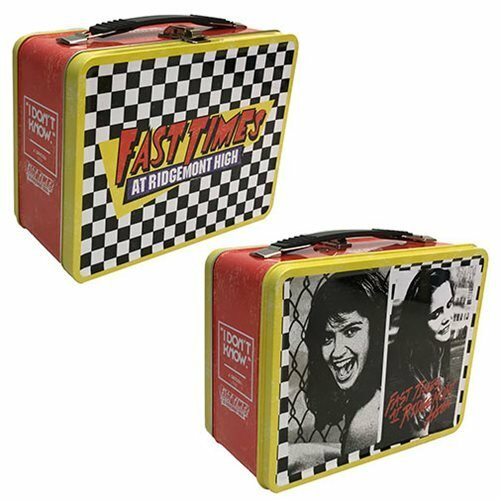 From Factory Entertainment comes the Fast Times at Ridgemont High Tin Tote! This high quality tin tote features fantastic artwork inspired from the hit movie Fast Times at Ridgemont High! Measures about 8 3/5-inches long x 6 3/4-inches tall x 4-inches wide.